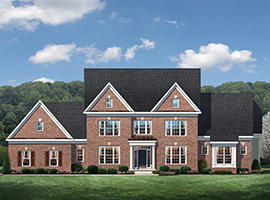 A select grouping of award-winning, custom-quality homes near Tysons and Reston. 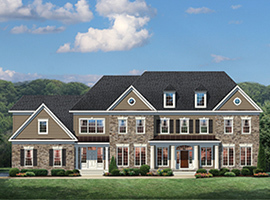 The Meadows at Great Falls is located in a beautiful residential setting in Great Falls, Virginia just minutes from The Reston Town Center, Dulles Airport and Tysons Corner. These award-winning homes can range from 5,300 to over 10,000 square feet. 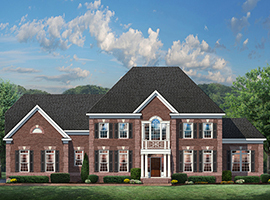 Each home features a three-car garage, brick front and sides, volume ceilings, a stunning chef’s kitchen and elegant owner’s suite with a lavish spa bath. 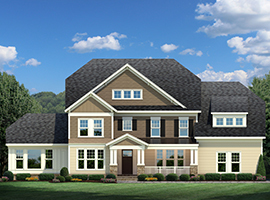 These magnificent home designs offer a fresh design choice, a new level of luxury, and showcase CarrHomes’ differences you can feel. Priced from upper $1.6 million. Renderings are an artist’s conception only and are not intended to be exact representations. 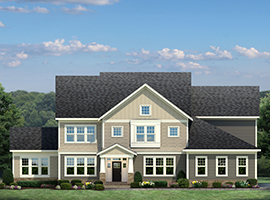 Elevations shown may include optional features. 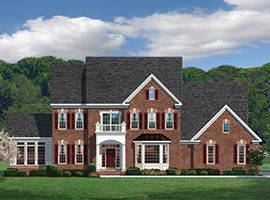 Some options may not be available on all homesites.